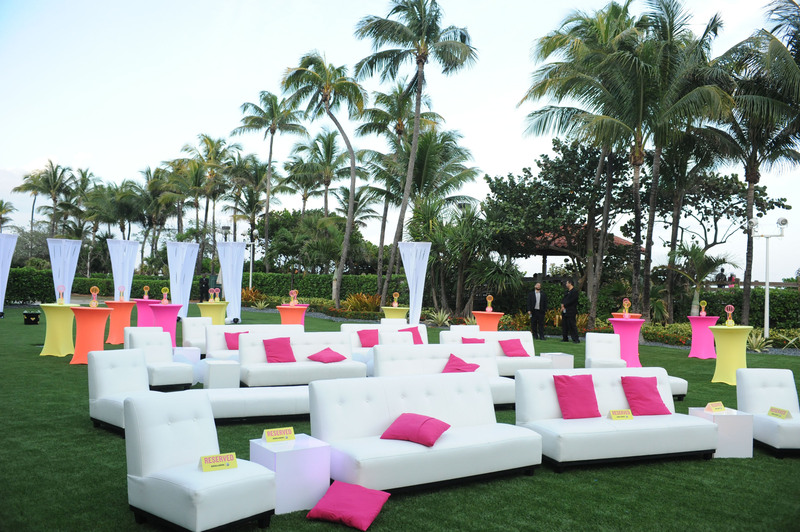 Only two more days to #SPARKSOMEFUN Miami! We have lots of fun activities today that offer you a chance to win a ticket on the spot or take a photo and enter to win! 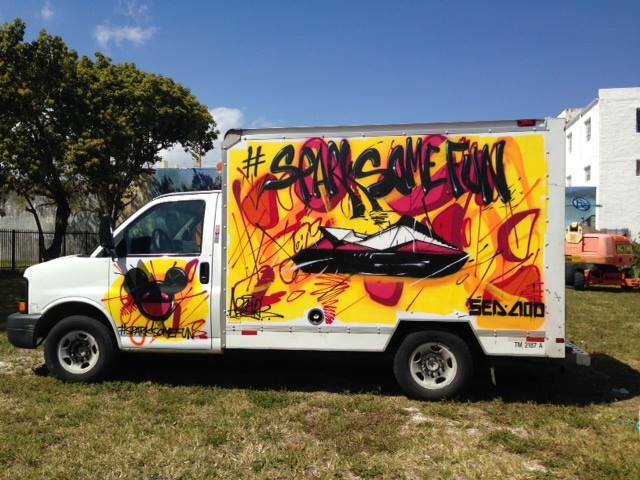 #SPARKSOMEFUN at in South Beach near 72nd street from 2-5 street today! 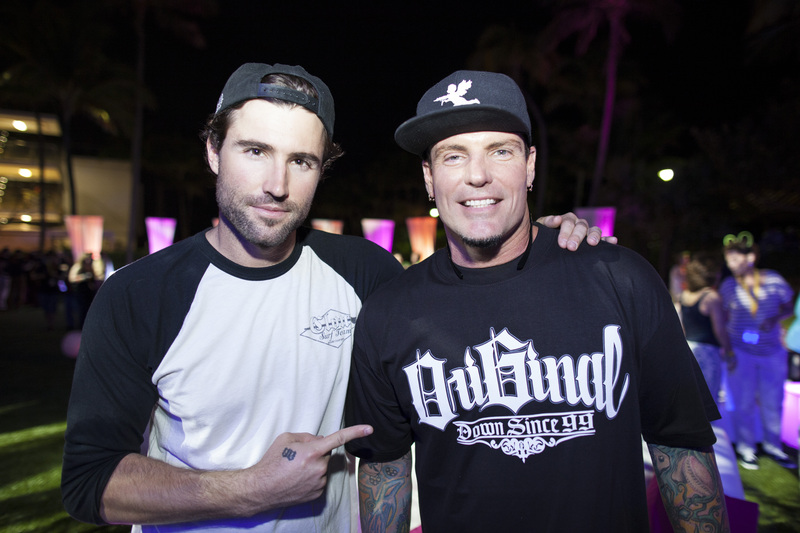 Only one day left to win tickets! 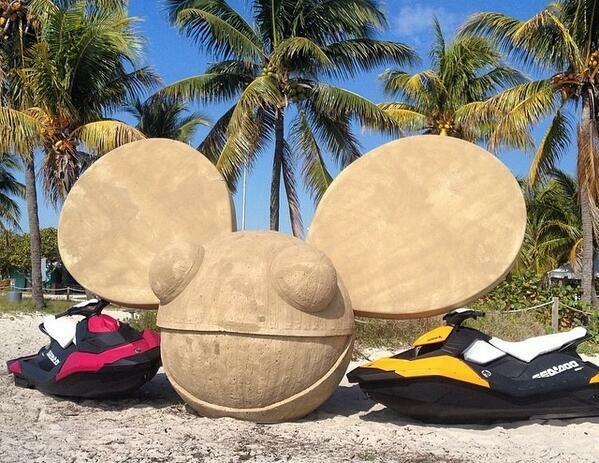 We will be giving away tickets at the beach, just look for the mau5head! 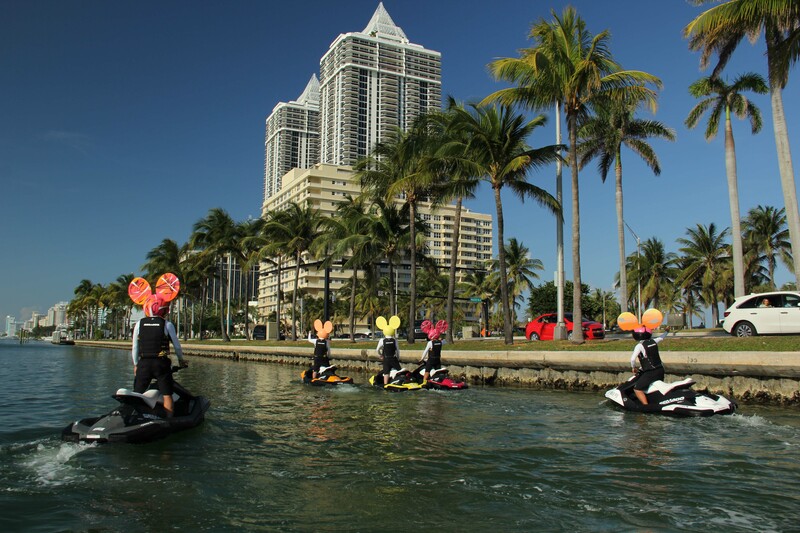 The mau5head riders will be cruising the waterways today all over Miami. 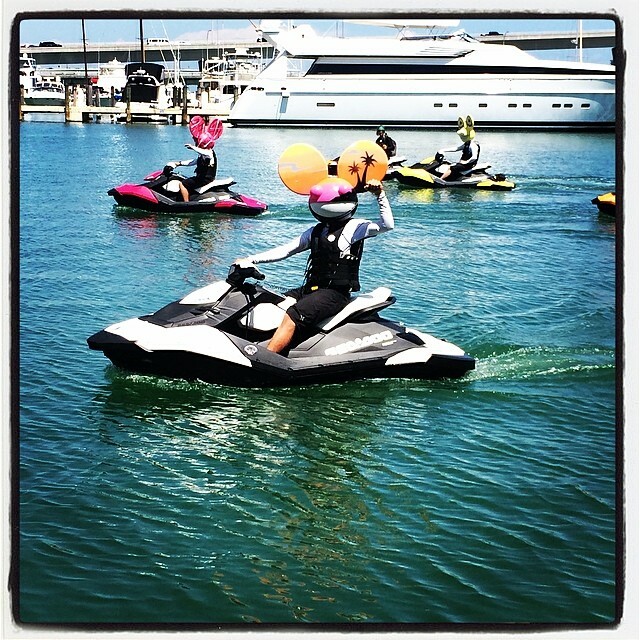 The Sparkmobiles will be cruising the streets of Miami looking to give away tickets to the deadmau5 concert. 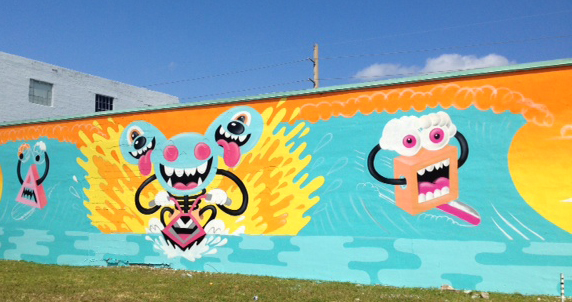 The Wynwood District is colorful with Sea-Doo and deadmau5 artwork….stop by and take a photo! 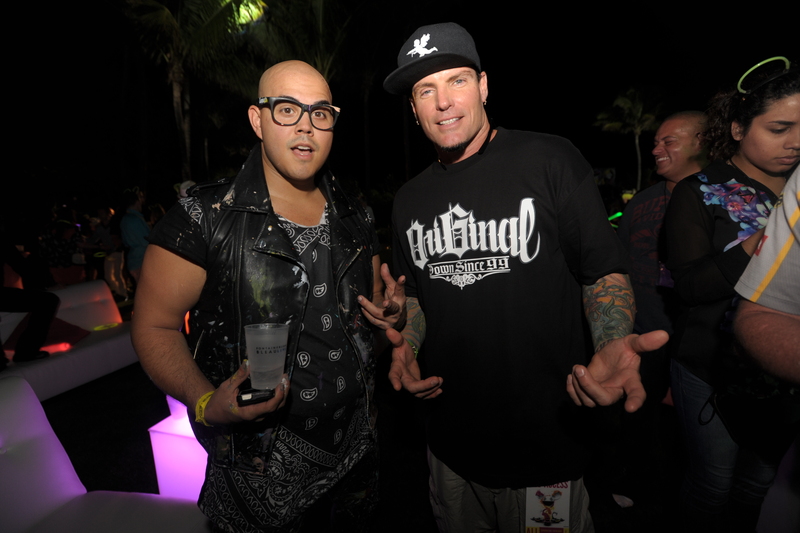 There is the Greg Mike mural, the Dabs Myla mural and look for the ABSTRK truck on the streets of Miami! 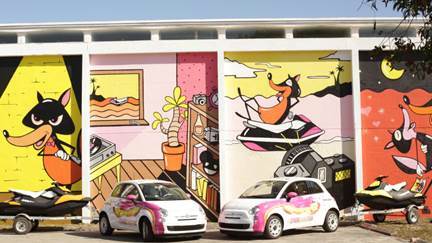 We’ve got two more days in Miami to #SPARKSOMEFUN! 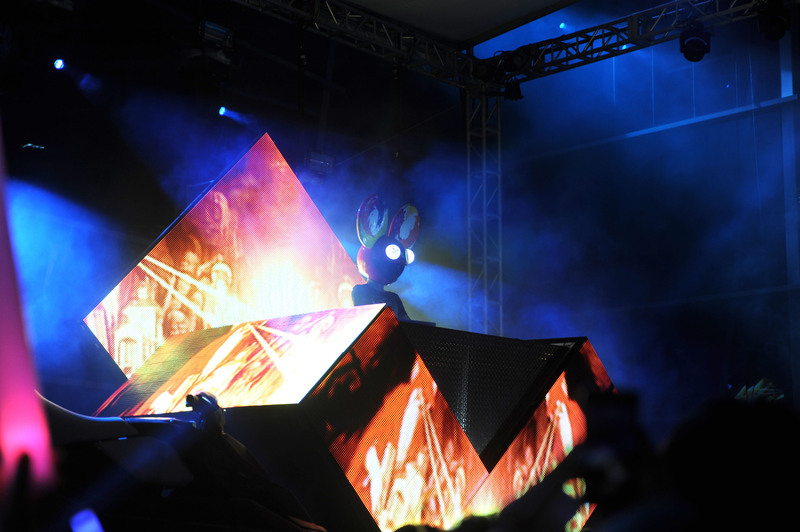 Keep an eye out for the events all over Miami for a chance to enter to win tickets to the deadmau5 concert at the Fontainebleau Miami Beach on Sunday, March 23. 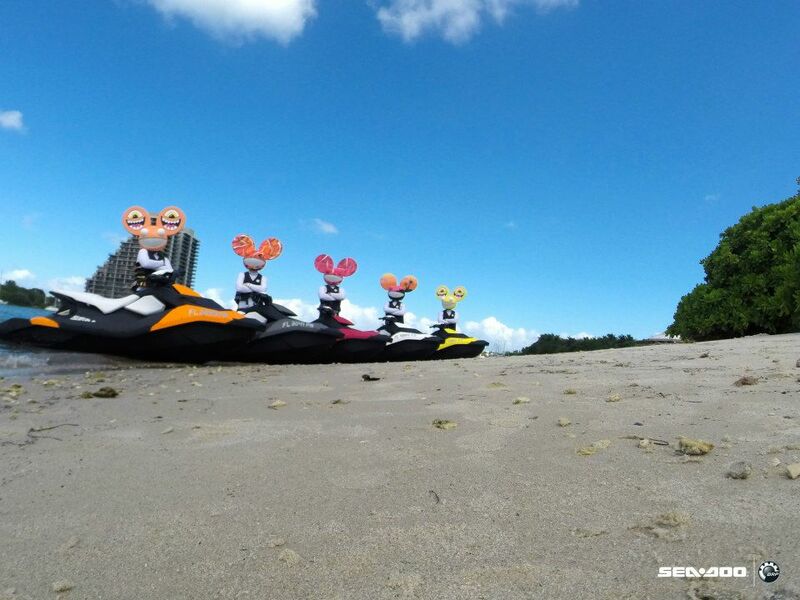 We are hitting the beach with Sea-Doo and deadmau5 sand art at the 22nd St. Boucher Brothers beach from 10-2. 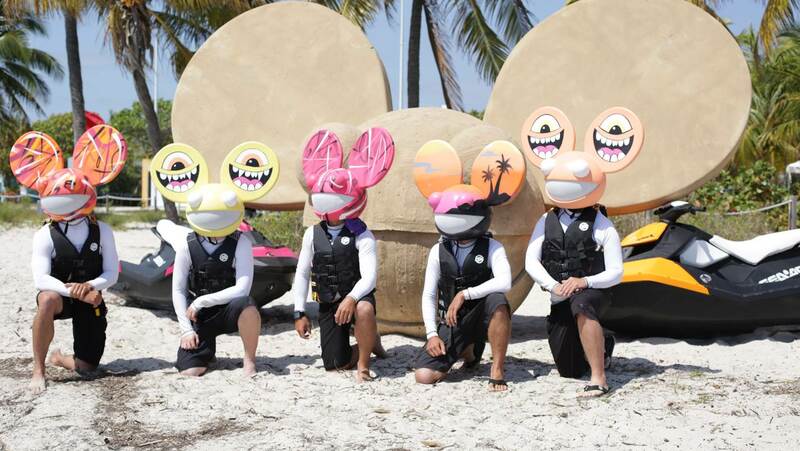 The mau5head Sea-Doo riders will be stopping by the 22nd street beach at 10:00 for a meet and greet. 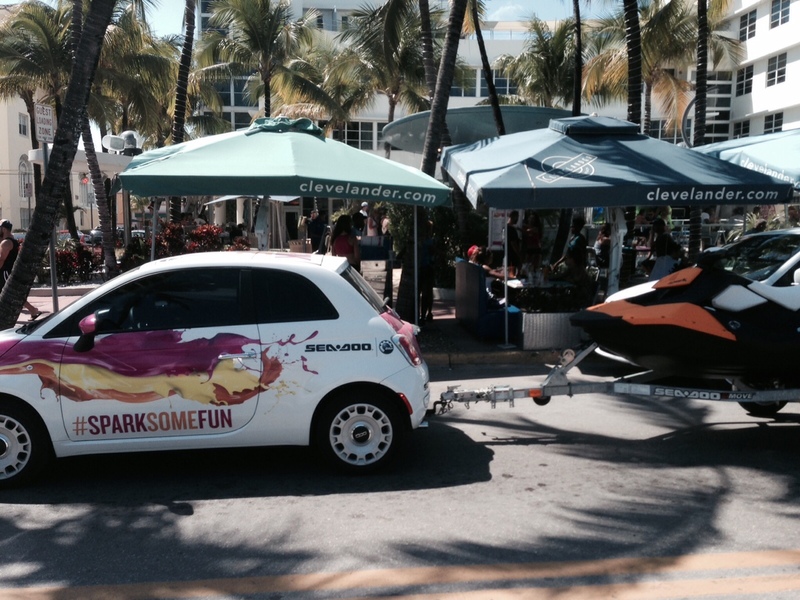 Our Spark mobiles will be touring Miami from 12-4. If you see one stop by and say hello! 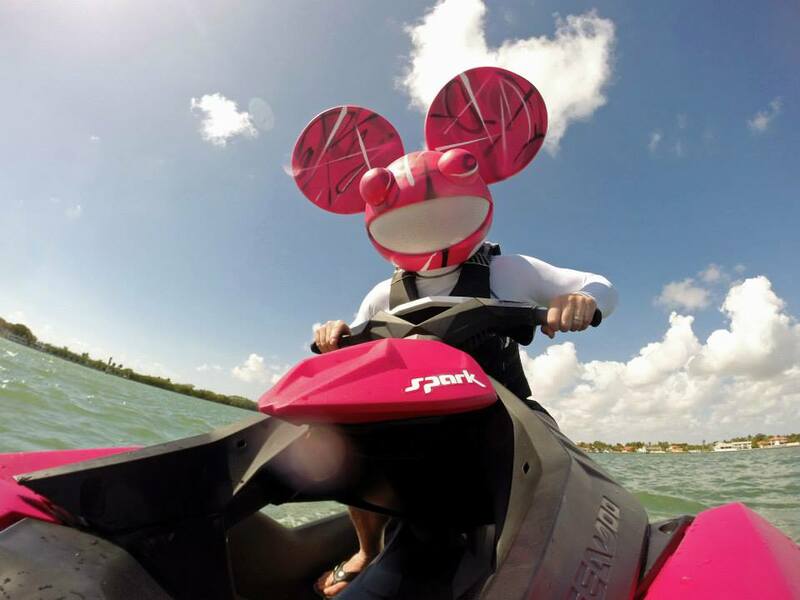 When it gets dark, from 8 pm to midnight, watch for Sea-Doo and deadmau5 projections all over Miami. 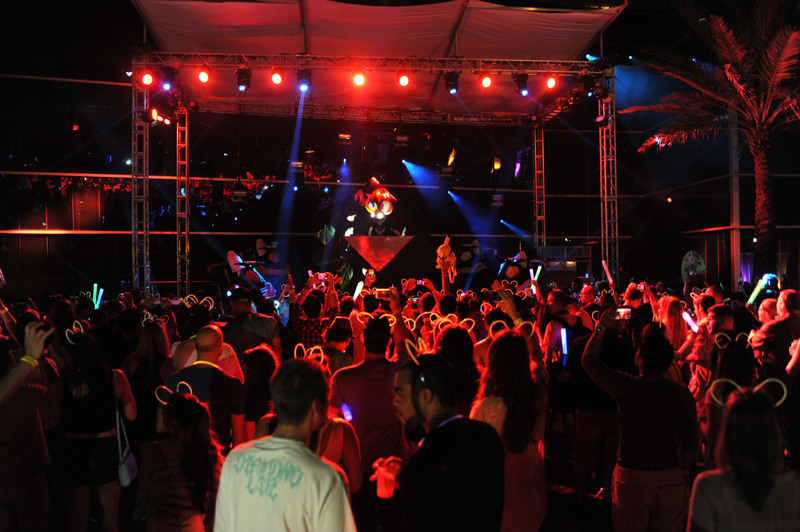 #SPARKSOMEFUN Miami is getting busy as we head into the deadmau5 concert weekend! We are headed to the beach on Thursday! Check out the #SPARKSOMEFUN activities today from 10-2 at the 9th Street Boucher Brothers Beach. 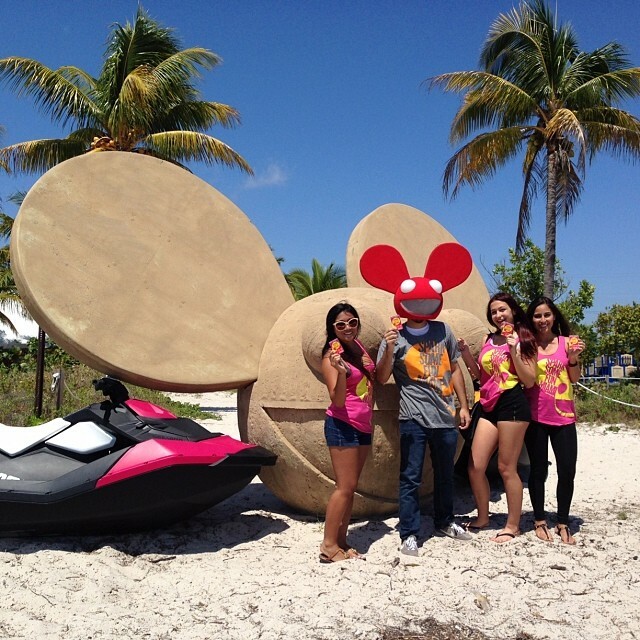 We’ll be building some fun sand art and giving away tickets to see deadmau5 this Sunday at the Fontainebleau Miami Beach! Visit www.sparksomefun.com for more information. 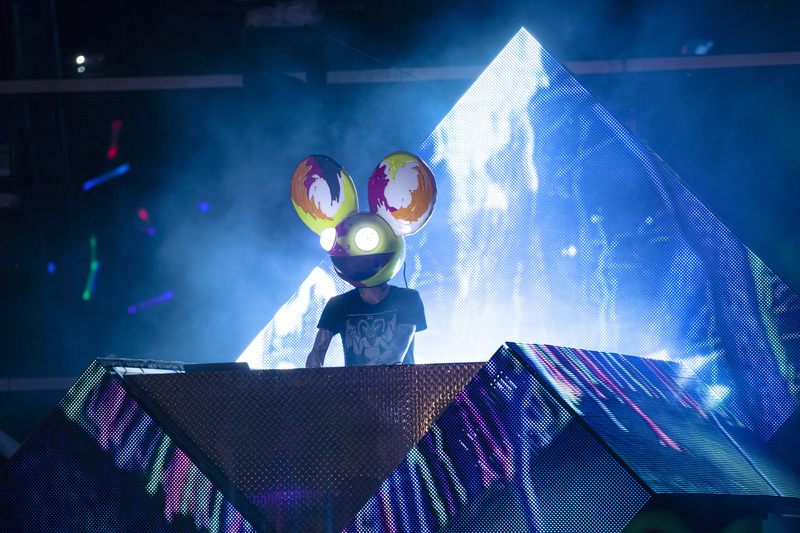 There are lots of chances to enter to win tickets to see deadmau5 live in concert at the Fontainebleau Miami Beach in Miami today! 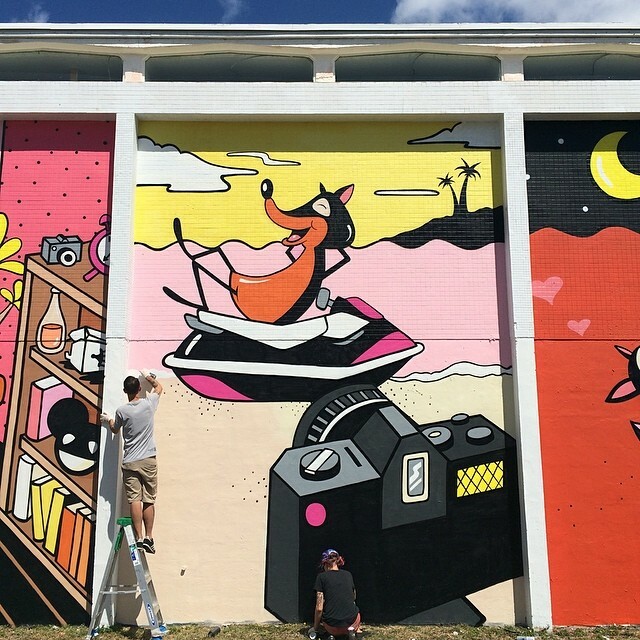 Experience the artwork of Dabs Myla and ABSTRK all day today at the M Building in Wynwood. Be there between 2-4 pm today for your chance to win! 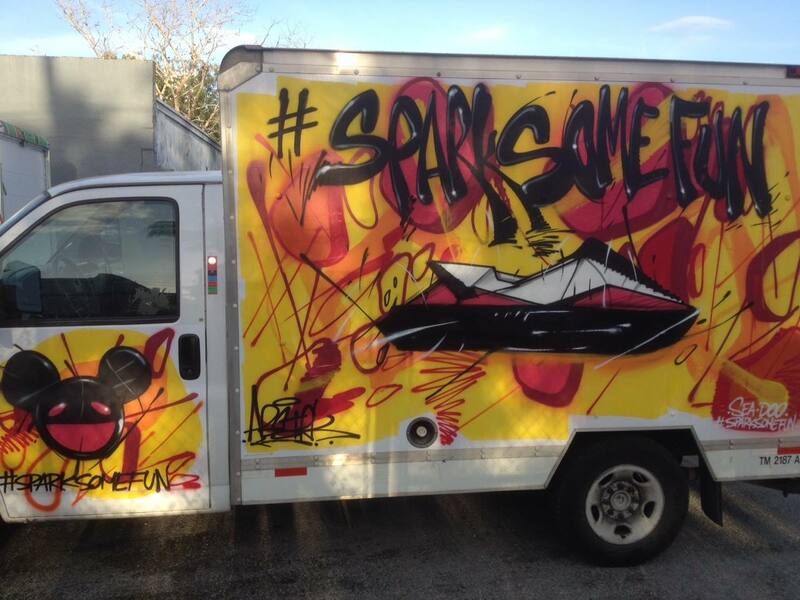 Be on the look out in the streets of Miami for our Spark Mobiles! You’ll see Fiats with Sea-Doo Sparks behind them. 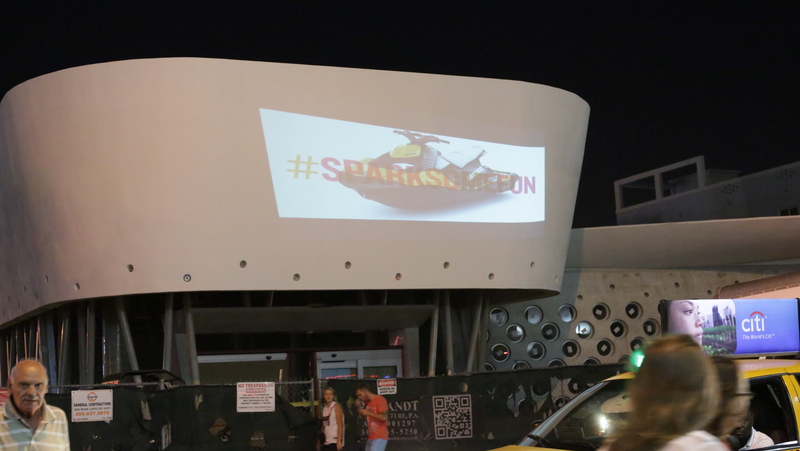 Snap a photo, send a Tweet, shoot a video, tag it with #SPARKSOMEFUN and upload it to Twitter, Instagram, or Vine. You can also enter on our Facebook page as well. 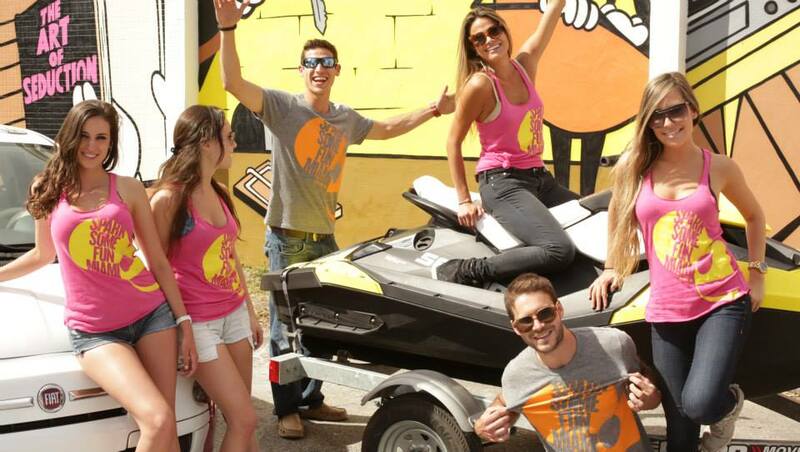 Have fun and #SPARKSOMEFUN Miami! Here we come! The Miami take over starts today!! 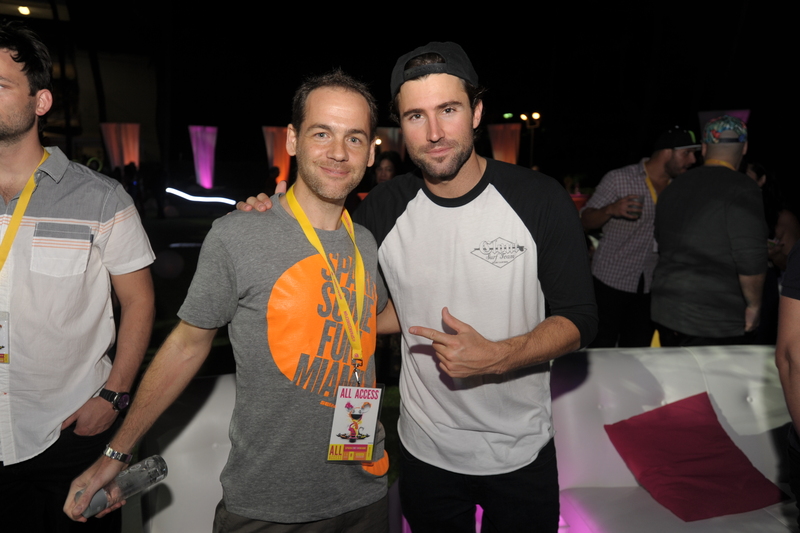 Ready to #SPARKSOMEFUN Miami? 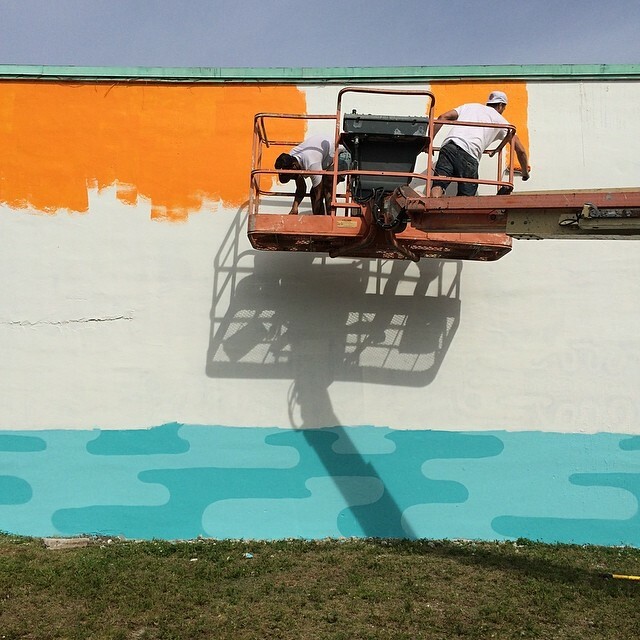 Watch for artists Dabs Myla as they create a masterpiece at the M Building in Wynwood (NW 29th St. / NW 2nd Ave.) today. Stop by and snap a photo! 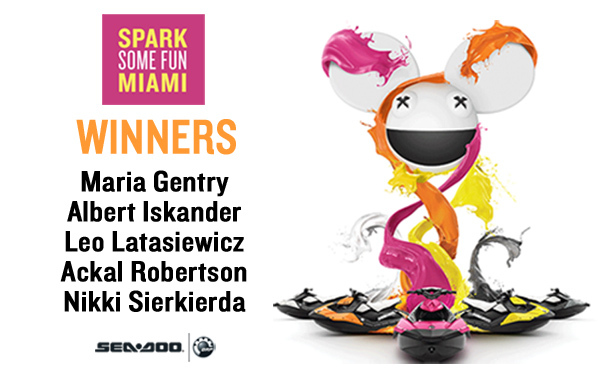 Upload it to our #SPARKSOMEFUN contest to win tickets to see deadmau5 live in concert at the Fontainebleau Miami Beach on Sunday, March 23, at 8:00 p.m.
Once the sun goes down, keep an eye out for Sea-Doo and deadmau5 light projections all over the city tonight! Snap a photo, video or Tweet at these activities and tag with #SPARKSOMEFUN to enter to win tickets!